Yesterday, the State Water Board adopted stringent new permit requirements for development projects in California that may impact wetlands or other surface waters. These new requirements have been in the works for a decade, but the Trump administration’s proposed rollback of federal wetland laws provided the impetus for adoption this year. Cox Castle was heavily involved in the final negotiations over these regulations on behalf of the building and agricultural sectors. Although the program remains burdensome, those negotiations resulted in significant concessions that will reduce its impact on housing and farming. The new requirements (the “Procedures”) will be implemented through existing state permitting structures. Most often they will be applied through regional water board sign-off (or “certification”) of Corps of Engineers wetland permits. They will also be applied where the federal government has no jurisdiction. Expanded Wetlands Definition. The state’s wetland definition expands upon the current federal definition by including unvegetated areas such as mudflats. 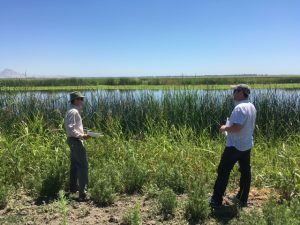 The state’s new permit requirements apply not just to wetlands, however, but also to any other surface waters in California. This includes many artificial features such as ditches, construction ponds and similar facilities that may have developed wetland features even when routinely operated and maintained. Mitigation. The Procedures require that there be no net loss of “the overall abundance, diversity and condition of aquatic resources.” In addition, there is a minimum 1:1 mitigation ratio required for wetlands and streams. The technical detail required for mitigation plans is high, requiring an analysis of the entire watershed, and a study to determine whether climate change will affect the mitigation sites. Projects within most regional HCPs or NCCPs can, however, simply comply with the requirements in those plans. Alternatives. In federal wetlands permitting, an applicant has the burden of proof to show clearly that his or her project is the “least environmentally damaging practicable alternative” (or “LEDPA”). The Procedures adopt this LEDPA requirement at the state level, and apply it to projects with extremely low levels of wetland impact (i.e., 1/10th of an acre). There is an exception for projects subject to Corps of Engineers nationwide permits, but the exception is so filled with clawbacks that its utility is questionable. The application requirements are very detailed, which will make it hard to get applications deemed complete by the regional boards. The Procedures are byzantine and difficult to understand. Coordination with the Corps will be tricky, and the regional water boards do not yet have the staffing or resources to implement the program effectively. The regulations likely will not become effective until the end of 2020, but one can expect the regional water boards to begin gravitating towards these standards in the near future.